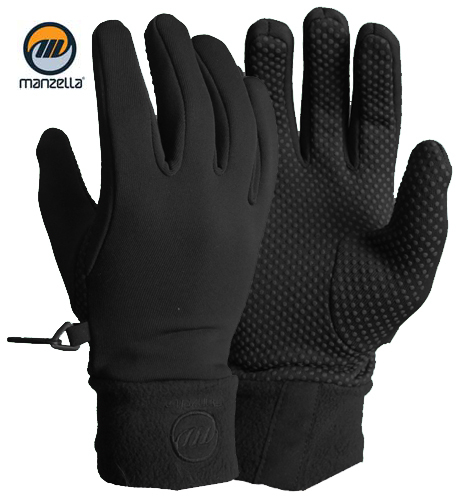 his glove by Manzella® features Polartec® Power Stretch® fleece material. They are lightweight with a wind resistant outer surface and Control Dot® palms and fingers. The stretch material hugs the hands for better dexterity and comfort. Sizes Med/Lg & Lg/XL.